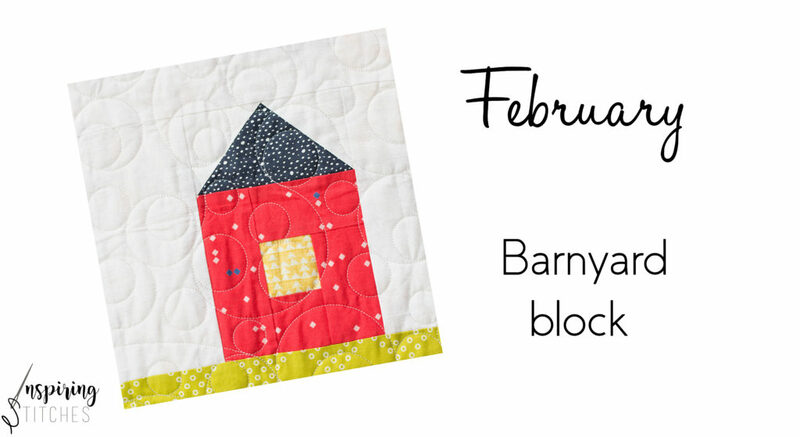 It’s time to reveal our February Barnyard block in the 2018 Heartland Heritage sew along. This block measures 9″ square when finished and uses 5 different fabrics. If you are just joining us now and have not yet grabbed the Heartland Heritage pattern, be sure to check our retail partner list to find a shop near you. Here are two of our finished blocks to get you started and keep you inspired. 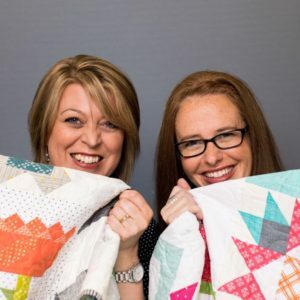 Before you head off to make your blocks be sure to check out Amy’s ruler tip here and Heather’s organization tips here. Then you are good to go! Remember, you will need to make 5 Barnyard blocks for the Heartland Heritage pattern and now it’s your turn to share. Click the blue button to show off your Barnyard Block. PS- if you are just joining us be sure to check out January’s Wildflower blocks here. Can’t wait to see what fabrics you stitch up!